Overview:Coverage of a widely seen fireball. This entry was posted in 2003, Newspaper Articles on October 4, 2003 by glen_h. 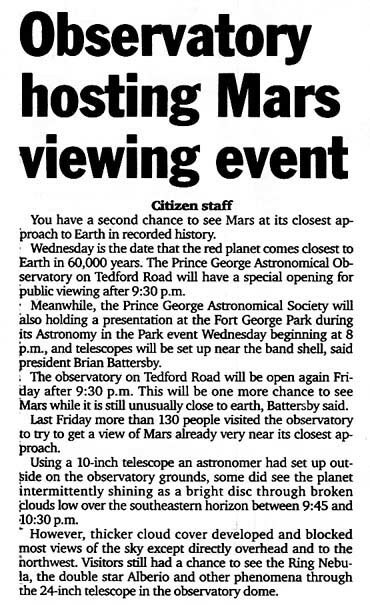 Overview:Announcing the Mars closest approach open house. This entry was posted in 2003, Newspaper Articles on August 20, 2003 by glen_h. Overview:Lead up to Mars’ closest approach to Earth. Gil Self and Glen Harris pictured. This entry was posted in 2003, Newspaper Articles on August 7, 2003 by glen_h. 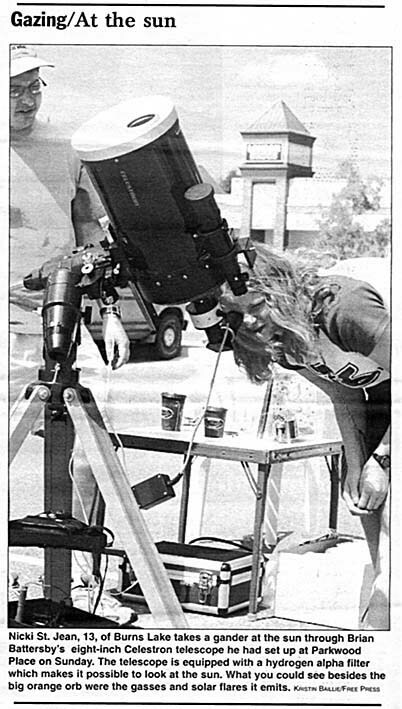 Overview:Club members Brian Battersby & Glen Harris in the Parkwood Mall parking lot showing the public a close up of the Sun. 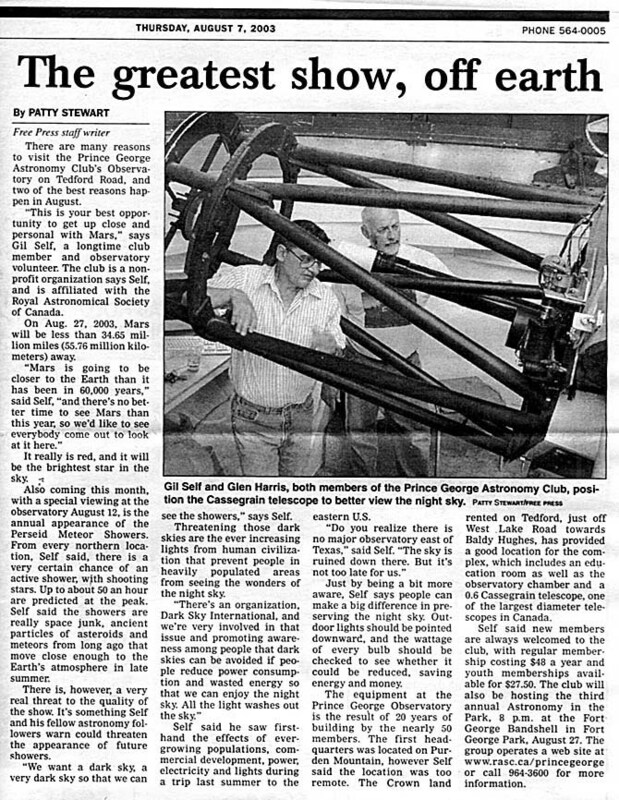 This entry was posted in 2003, Newspaper Articles on July 18, 2003 by glen_h.